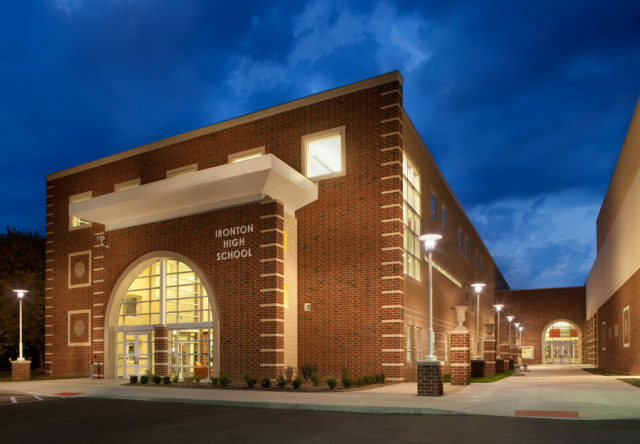 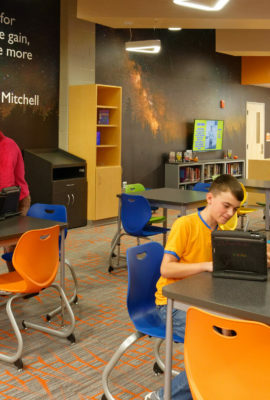 The design of the new Ironton High School preserves the local history of the school while providing students with innovative, 21st century learning environments. 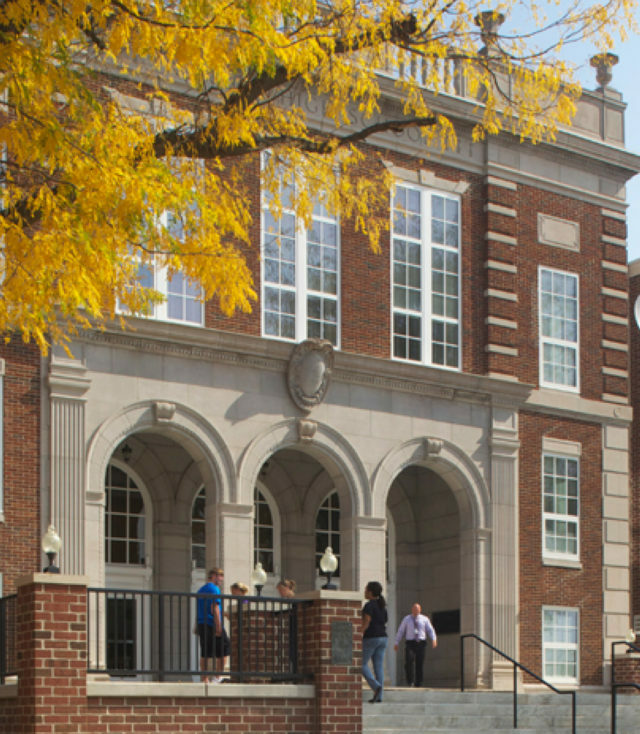 The Ironton High School campus had remained unchanged for more than 70 years. 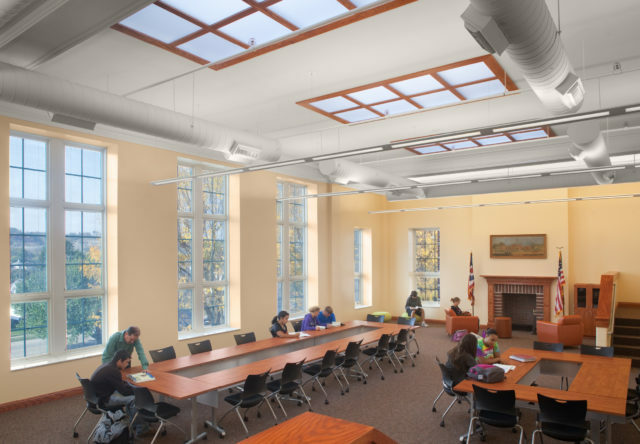 So when the district decided to construct a new high school, the preservation of the historic site received much attention. 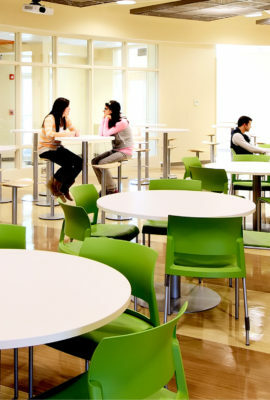 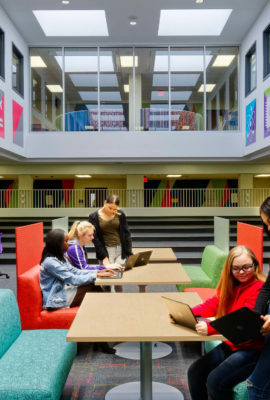 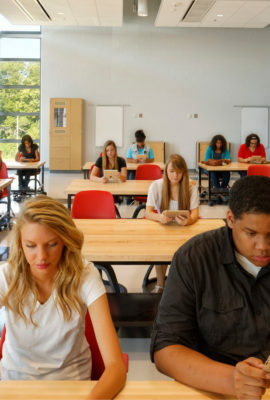 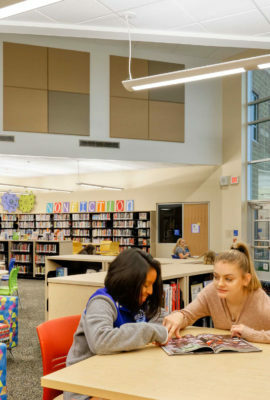 The design solution saved the old high school’s main entrance and two-story media center, and built the new high school around this space to provide students with future-ready learning environments. 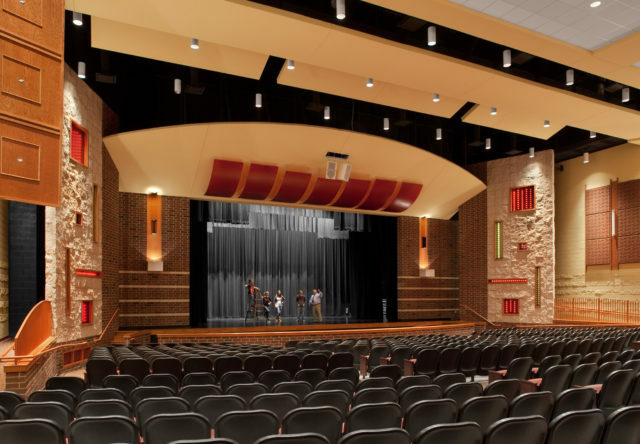 Other additions included an auditorium and auxiliary gymnasium to provide students with a well-rounded education. 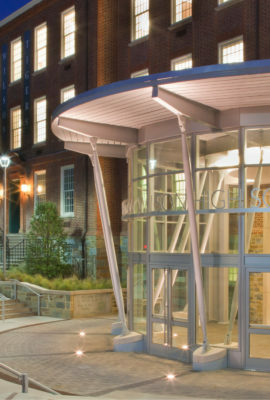 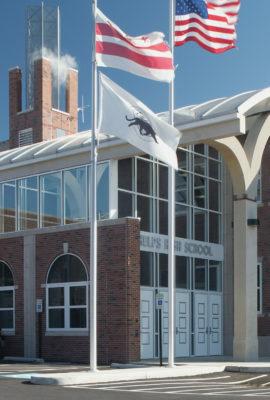 The design preserved the old high school's main entrance and creates an inviting and secure path into the school. 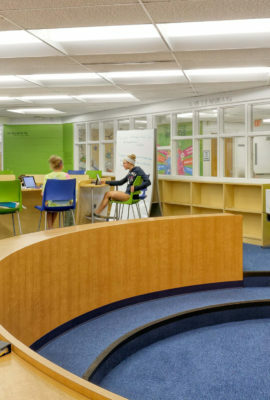 The existing two-story media center was preserved and updated to serve as a destination for research and collaboration. 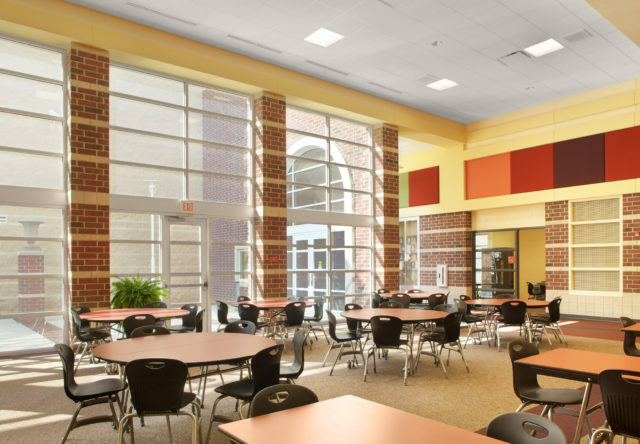 Extensive natural daylighting makes for vibrant spaces while keeping energy costs low. 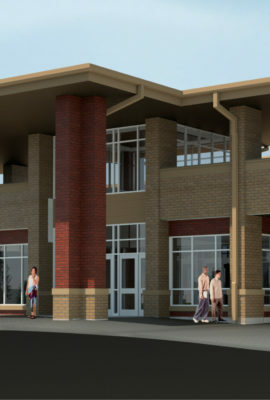 Other additions include an auditorium and auxiliary gymnasium to provide students with a well-rounded education. 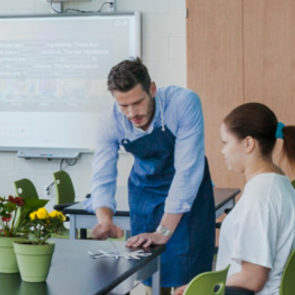 This is a teacher’s dream. 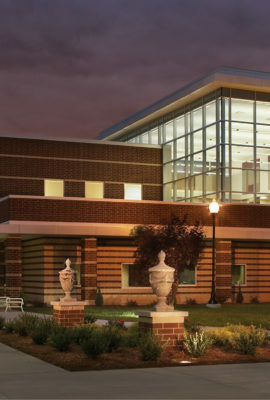 I’ve taught for 23 years and never had a facility like this before.